Written by David on May 17, 2018 . Posted in Uncategorized. The number of online casinos has grown enormously in recent years. Just like in any business, more competition results in companies constantly trying to improve themselves and outdo others. Some casinos do this by offering the latest technology, groundbreaking features, lightning fast payouts or around the clock customer service. Whilst just a few years ago players had to choose between a limited amount of payment methods, we can thank the growth of the online gaming industry for adding loads of new options. Having more payment options to choose from, also means you can choose to control what you do and don’t want to leave as a trace on your bank statement. It’s a question we’ve received loads: is it possible to make anonymous deposits at an online Yggdrasil casino? You can compare this payment method to a kind of virtuel wallet. They also call these type of options e-wallets. 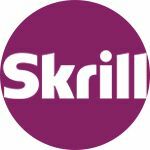 To use Skrill you’ll have to create an account. After you’ve successfully registered, you can deposit money into your Skrill account, thus giving balance in your e-wallet. You can then use this balance to make deposits at an online casino. The only thing you’ll see on your bank statement is that you transferred money to your Skrill account, thus allowing you to make an anonymous deposit at an online Yggdrasil casino. Skrill accounts are registered with an email address and password. When you click on the Skrill option at an online casino, you’l have to enter the amount you want to deposit. After this a log-in screen will appear, where you will enter your Skrill account details. Skrill was formally called Moneybookers. Some websites/casinos might still use the old name, but both are the same. A Paysafecard is a prepaid card that you can by in the store for different values. Not too long ago it was only possible to actually by them in store, but nowadays it’s also possible to buy virtual versions of them online. No clue where to by a Paysafecard? On their official website you can enter your postcode or city, after which all outlets in your area will be displayed. Store bought Paysafecards can have a value of 10, 25, 50 or 100 euro, whilst the virtual cards also come in €5. If you’re looking to be extremely discreet, take out cash at an atm first and use this to purchase a paysafecard in a store. This will leave no traces at all. 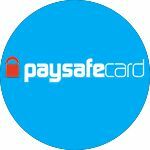 Making an anonymous payment via a Paysafecard is very simple. Each Paysafecard, store bought and virtual, has a 16 digit pin-code. When making a deposit at an online casino, you’ll have to enter the pin-code. The amount will then be deducted from the Paysafecard. You can check the remaining balance of the card online, and it’s possible to combine the balance of multiple cards for one payment if necessary. NETELLER is, just like Skrill, a virtual wallet. In fact, both payment methods are now owned by the same company: Paysafe. In addition to the regular e-wallet, you can also apply for the new Net+ Prepaid Mastercard. Deposit money in this prepaid card to make discreet payments. The card is accepted by any place that accepts Mastercard and functions exactly the same. 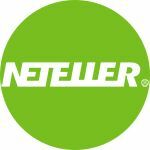 You might have guessed it – in order to make a deposit via NETELLER you first have to register an account. After selecting the correct payment method in an online casino, you will have to enter you account number and secure ID.